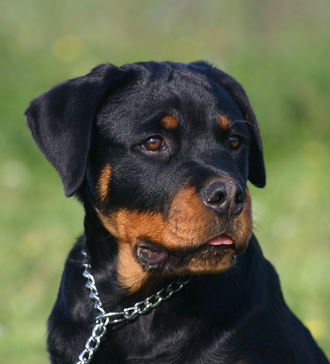 Rottweiler dog bite expert, Richard Polsky, PhD, describes a case in which a jury in Virginia awarded $150K to a veterinary technician as a result of a Rottweiler attack that caused injuries to her mouth. The victim required multiple surgeries. The verdict was rendered in July 2014. The incident occurred in March 2011. The fact pattern in this dog bite incident was as follows: The attack happened while the technician was in the presence of the Rottweiler inside the examination room at the Hickory Veterinary Hospital in Chesapeake, Virginia. Evidence presented at trial showed that the eight-year-old Rottweiler, named Harley, had multiple episodes of aggression towards people prior to the incident, and that the owners knew about this dog’s aggressive disposition. Plaintiffs argued that the defendant/owners did not do enough to protect the plaintiff from Harley. Medical costs for the plaintiff exceeded $28,000. Initially, the lawsuit sought $300,000 in damages. It is not clear if the veterinary hospital was brought into the lawsuit, or if an animal behavior dog bite expert witness was used by either the defense or plaintiff. According to the news report about the incident which this author reviewed, it is not clear what transpired between the technician and the dog just prior to the bite. However, it is likely that the technician was within arm’s reach of the dog and directing some behavior towards the dog. Given that she was bitten in the face, she may have been restraining the dog or engaging it in some procedure, perhaps with the assistance of another worker at the veterinary hospital. 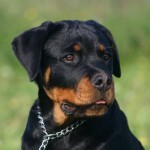 From a legal perspective, given the past history of the Rottweiler, provocation was probably not an valid argument given the context in which this dog bite incident happened. Assumption of risk (i.e. the Fireman’s rule) was also probably a weak defense given what the owners knew about the Rottweiler prior to bringing the dog to the hospital for treatment. The case for the plaintiff probably would not have been as strong without the proof that the defendants had actual knowledge about the dog’s past aggressive tendencies towards people. It is uncertain if the defense argued at trial contributory negligence by the plaintiff for not muzzling the dog during the examination, however. Richard Polsky, PhD is an animal behavior dog bite expert witness based in California. Dr. Polsky is available for consultation and testimony in Virginia concerning Rottweiler dog bite attacks. He has worked successfully on many occasions with dog bite attorneys nationwide and is available for consultation.